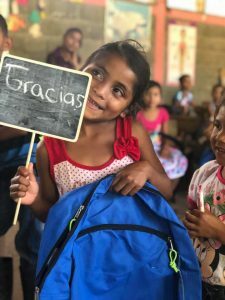 This week in Honduras with Rotary and Pure Water for the World has been an extraordinary trip, and a beautiful gift of perspective. It’s been a week of experiencing intense poverty, incredible joy, unique culture, and a powerful God who cracked our hearts wide open so that we could love and serve in abundance. Definitely, humanity at work. Oddly enough, the paradox of generosity is that we often get back more than we GIVE. The beautiful people of Honduras undoubtedly made us better human beings. They welcomed us with open arms, poured out gratitude, educated us, worked along side us, and loved on us in return. I was so impressed with the Honduras Pure Water for the World Team (PWW). They are doing amazing things for their communities to save lives and we got the opportunity to tour their headquarters in Trojes. On top of everything else they do, they took care of 21 of us Americans throughout the entire trip and let me tell you, that wasn’t easy. They are very patient people. 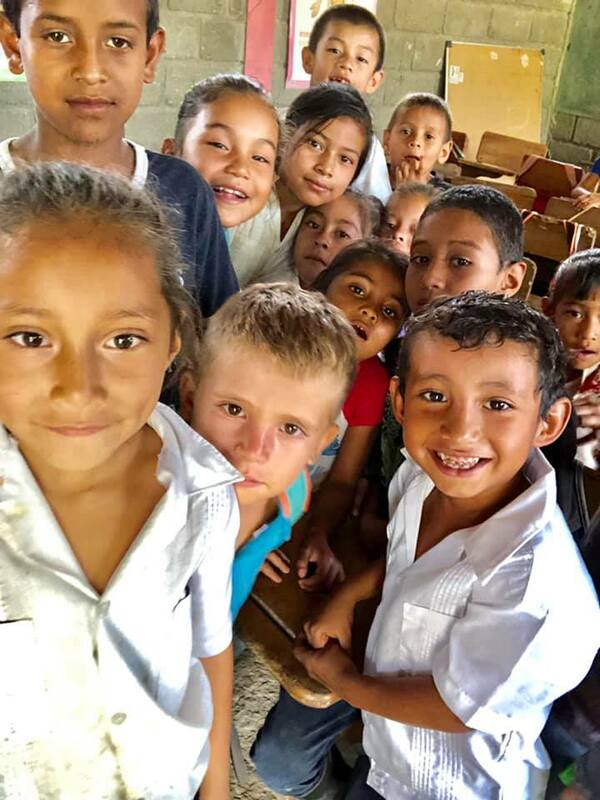 PWW has installed over 5000 bio sand water filters and over 2500 latrines (bathrooms) to date in homes and schools in Honduras. 130/360 communities have received their filters so still much work and fundraising to be done. The remaining homes are 2+ hours out from Trojes and children continue to get sick from the contaminated water. The homes we did on this trip have been on a waiting list for water filters since 2011 – absolutely heartbreaking. Her name is also Emily! So many things we Westerners take for granted – plumbing, electrical, sanitation, clean water, FREE clean water with ice even at restaurants, television, vehicle transportation, grocery/convenience stores, sidewalks and paved roads… and on and on…. The remote communities we worked in outside of Trojes have NONE of these things. 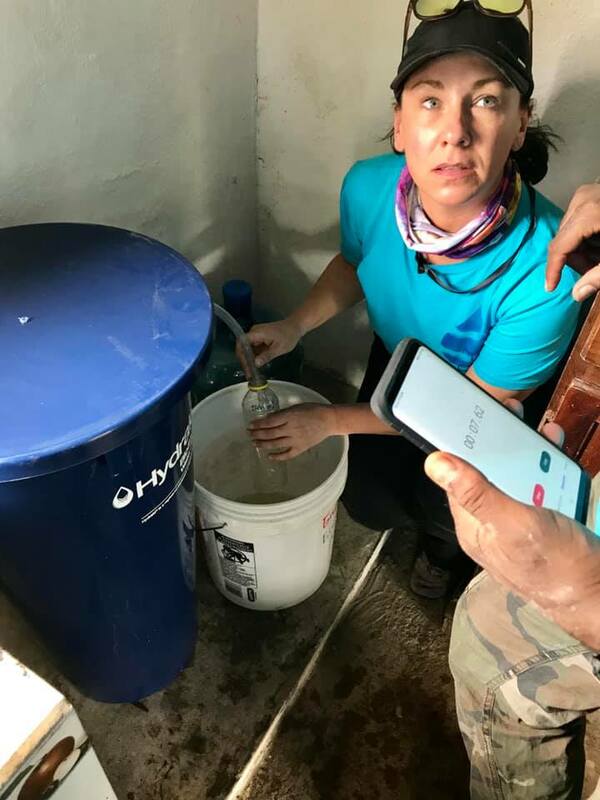 It took us 2 hours each way in the back of trucks to reach these homes and even then, some hiking was involved to get to the homes to install the water filters but, these filters will save lives. 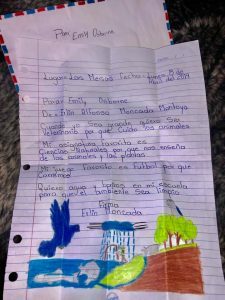 Thank you Erlin Alfonso Moncada Montoya. Your wishes are coming true. Health, hope and opportunity come from safe water. 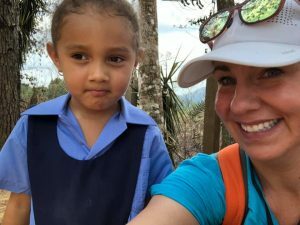 Thank you so much, Emily, for sharing this beautiful expression of your Honduras trip experience. We are deeply grateful to you and all of the dedicated volunteers who made the journey, complete with your own sacrifices, to help the people of rural Honduras. You have left a lasting impression and the work you all completed will change lives forever. 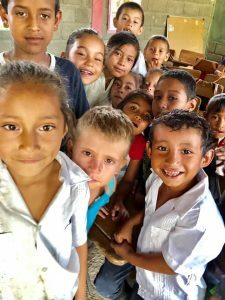 Interested in joining PWW in Honduras or Haiti? Click here to view our upcoming trips. PWW Travelers Honduras, PWW Travelers, PWW Trips, PWW Volunteers, safe water, sanitation, Success Stories. permalink.